A spokesman for the Oxfam charity organization has commented on the seizure of Zimbabwe's broadcaster ZBC amid rumors of a coup. MOSCOW (Sputnik) — International charity Oxfam hopes that democracy in Zimbabwe will hold, assessing the situation there as calm despite media speculation of a coup after the country’s military took over a TV station in the African nation's capital. "For now I think everything is calm and there is an air of opportunity. The situation remains calm and our hope is that the tenants of democracy should hold," Stewart Muchapera, Oxfam's media and communications adviser for Southern Africa, has told Sputnik. Despite there being a large-scale military presence in Harare, residents have continued with their everyday lives, the official, who is currently on the ground in the capital city, added. "I think in terms of armored vehicles they are only in strategic points and people are going on with their day-to-day lives and there have not been any shots in the streets. Yes, there is a heavy presence of soldiers in the city but everything is normal," Muchapera said. According to him, the ongoing situation is unlikely to affect the charity's activities in the country. 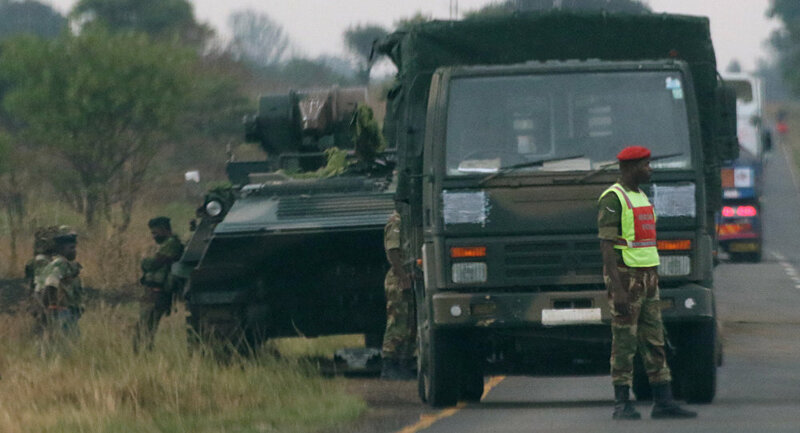 On November 14, media reported that armored vehicles had been moving toward Zimbabwe's capital. Zimbabwe’s military took over the headquarters of the state broadcaster ZBC in Harare and issued a statement, saying that no military takeover is taking place in the country and that President Robert Mugabe and his family are safe and sound. According to the South African News24 website, Mugabe, who has been the country's president since 1987, managed to reach an agreement with the army's representatives that his wife would leave the country, while the president himself was preparing to announce his resignation. It has been reported that Mugabe is now under heavy military guard. South African President Jacob Zuma has commented on the situation, saying that he was contacted by Mugabe, who has been "confined to his home but said that he was fine."